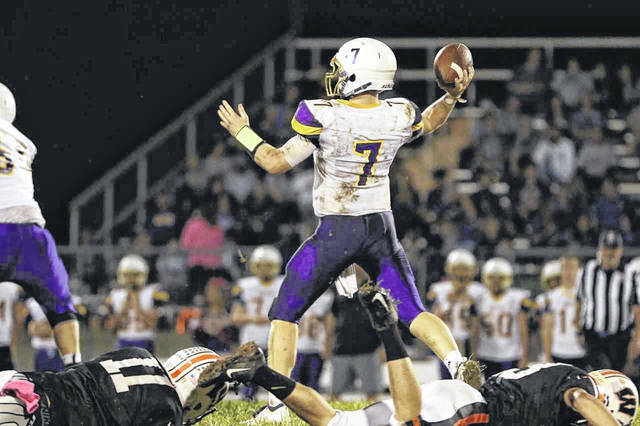 Valley quarterback Andrew Shope was named to the first team All-SOC II offensive team. 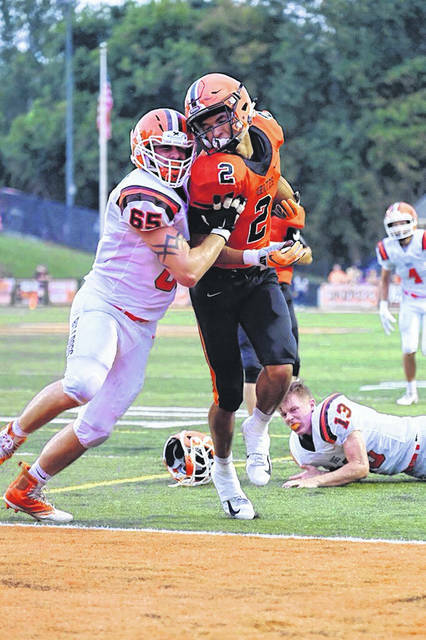 Wheelersburg wide receiver Tanner Holden was named the 2018 SOC II offensive player of the year. On Monday morning, the Southern Ohio Conference released the first and second teams for the SOC II division, as well as the superlatives awards for the conference. The Wheelersburg Pirates, who finished SOC play with a 4-0 record, took home many of the awards issued by the conference. Senior wide receiver Tanner Holden took home the offensive player of the year award, as well as junior Makya Matthews taking home the defensive player of the year award. Those Pirates were joined on the SOC II first team by Trent Salyers, Evan Horlsey, Avery Donini, Justin Salyers, Evan Dahm, and Baylen Haywood. Pirates head coach Rob Woodward was named SOC II coach of the year. Chase Stidham, Tanner Wilson, and Ashton Clevenger were the Pirates named to the SOC II second team. The Portsmouth West Senators finished third in the league with a 2-2 record. Those Senators named to the SOC II first team include playmaker Josh Berry, running back Garrett Hurd, quarterback Dylan Bradford, and Gabe Skaggs. Cole and Trevor Staggs were the Senators representatives on the SOC II second team. The Valley Indians had a good representation in the conference awards with seniors Tanner Spradlin, Andrew Shope, and Gabe Streeter being named to the SOC II first team. Nick Crabtree and Tyler Mitchell were the two Indians named to the SOC II second team. Minford’s Luke Lindamood and Ty Wiget were those Falcons named to the SOC II first team, while Hunter Livingston was named to the SOC II second team.